This very simple but vibrant bowl was made by Michael Hunter for Twists Glass in 2016. The clear foot supports a wide shallow bowl comprising two incalmo layers. 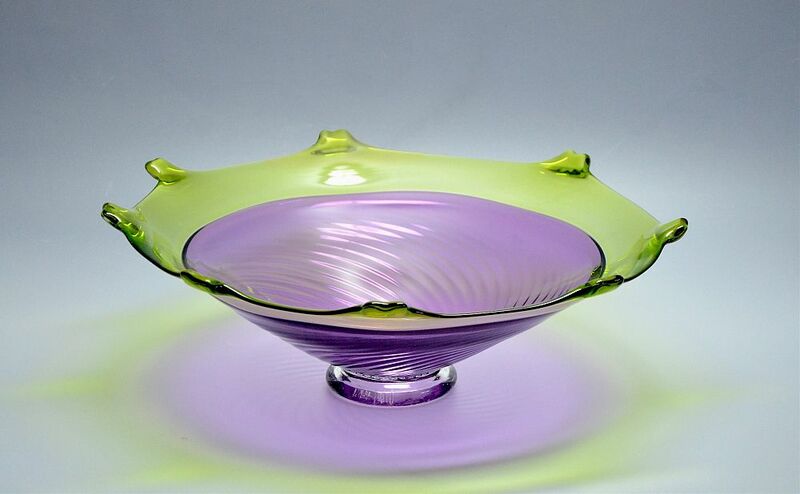 The bottom layer is light purple with an external ribbed pattern that radiates from the foot and swirls around the bowl. The top layer is in lime green with pulled crenelated edges. Please note that this bowl is made to order and can be ordered in other colour combinations.